This ministry plans an annual women’s retreat addressing the spiritual needs within the Barn and our wider community. To learn more contact The Barn. 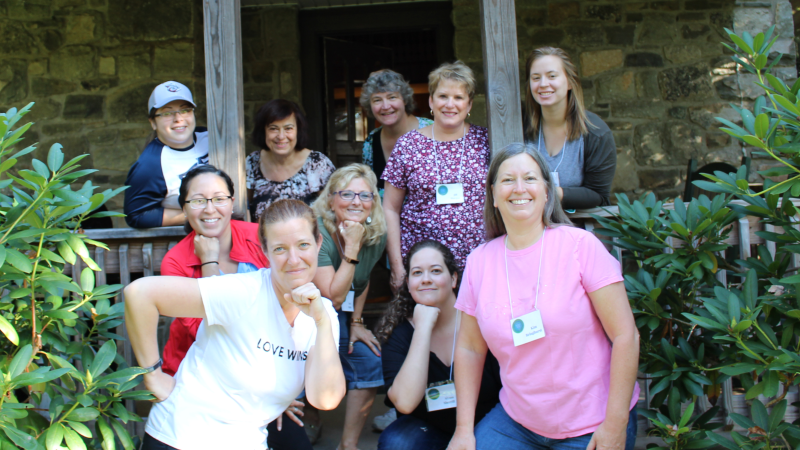 The women of the Barn and other partner faith communities spent a beautiful weekend in the Poconos at Spruce Lake Retreat Center. Storyteller Geraldine Buckley was our leader and taught us the fundamentals of telling a good story.